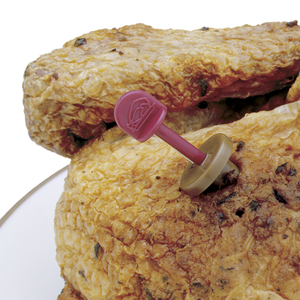 This pop-up timer lets you know when your chicken or turkey is perfectly roasted. Simply stick into the thickest part of the breast. When the internal temperature reaches 165F-185F/75C-85C, the timer starts to pop out. Reusable over 200 times. Measures 2.5"/6cm. Turkey is sold separately.